Living Magazine asked their readers to cast votes in over 100 categories to help determine once and for all the best of the best in Metroplex businesses. And they did! Their readers made the effort to voice their opinion and because of those votes Mansfield Custom Homes was selected in the 2014, 2015, 2016 and 2017 Best Of Reader’s Choice Winners’ Showcase. 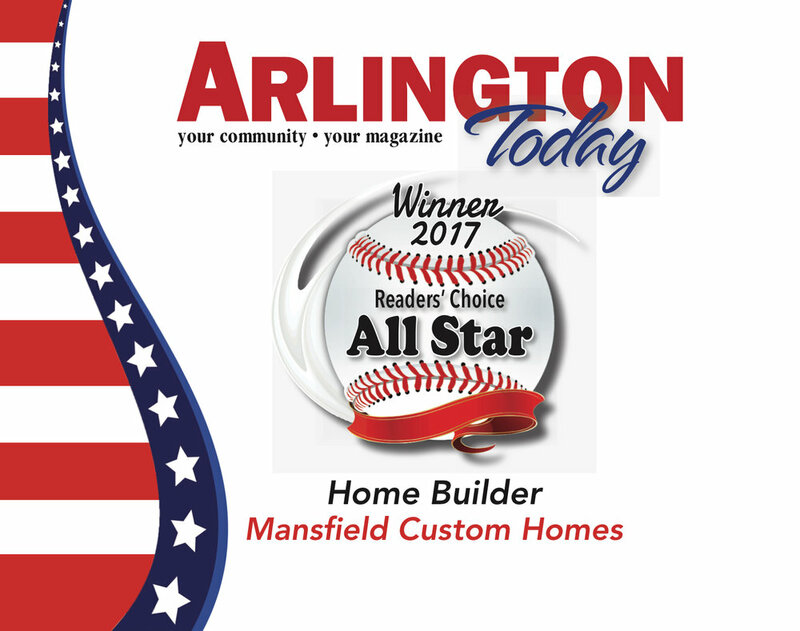 Mansfield Custom Homes is humbled and honored to have been selected as the "Best Custom Home Builder" in Arlington and Mansfield by the readers of Living Magazine. We can't thank the families we've had an opportunity to work with enough for sharing their experience with others. We look forward to meeting new families in the future and helping them build the home of their dreams! We are honored to be Arlington Today's 2017 readers choice custom home builder of the year!